In order to determine the performance of the nation’s largest cities, 24/7 Wall St. reviewed the 100 largest U.S. cities by population. We considered a variety of factors, including the area’s economy, job market, crime level, and welfare of the population. This year, the best-run city is Irvine, California, while the worst run is San Bernardino, California. Plano, Texas was selected as the third best run city in America. More than half of Plano’s adult population had at least a bachelor’s degree last year, one of the best rates in the nation. Plano's close proximity to Dallas, combined with efficient public transportation, offers residents easy access to jobs in the larger city. More than 12% of Plano workers were employed in the finance industry last year, roughly double the percentage nationwide, and more than nearly all other large cities. Employment in this traditionally high-paying sector could partially explain the relatively wealthy population in Plano. 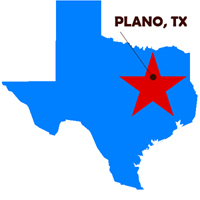 In 2012, the median household income in Plano was $81,475, more than $30,000 higher than the national median. The city is also a safe place to live. There were just 131 violent crimes per 100,000 residents last year, one of the best rates among major cities. Plano’s housing market also remained strong, with just one out of every 255 homes in foreclosure in 2012, better than the vast majority of large cities.